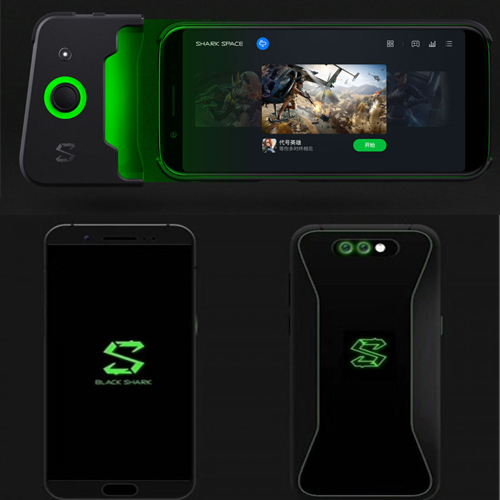 Black Shark, the first gaming smartphone from Xiaomi-backed Black Shark, was launched in China on Friday. The new smartphone comes with several gaming-centric features, including a liquid cooling system. The Xiaomi Black Shark handset's price starts at CNY 2,999 (roughly Rs. 31,100). It has been listed on the Xiaomi's China site as well as its YouPin e-commerce site. It is also listed on JD.com and it will go on sale starting April 20. The smartphone will be sold in the country and there is no information on whether it will be unveiled globally. The Xiaomi Black Shark features the same green and black coloured design aesthetics as that of the Razer Phone. It supports DCI-P3 Wide colour gamut that goes up to 97 percent. It comes with brightness up to 550 nits. The smartphone has got support for Bluetooth 4.0 and the company has introduced a gaming controller as well. For those who are interested in benchmark scores, Xiaomi revealed that the AnTuTu score for the Black Shark was 2,79,464.